Mozilla firefox 19 stable is now available for download from Mozilla’s FTP site. It is currently not available on the firefox official homepage but expected to be available in feb 20. 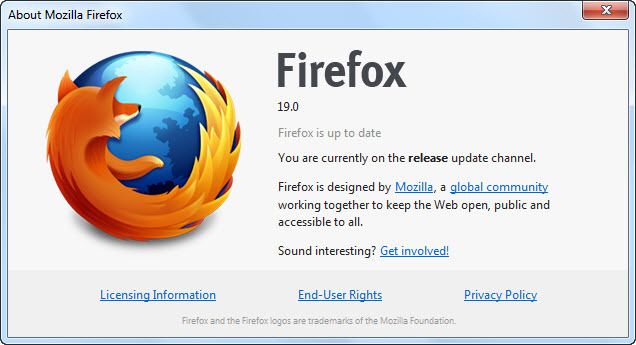 What’s new in this firefox 19?